Gardening is really making a comeback. One study from the National Gardening Association found that $70 worth of plantings yielded over $530 of produce. Talk about a great investment. Where else can you find 650 percent profit in just one year? 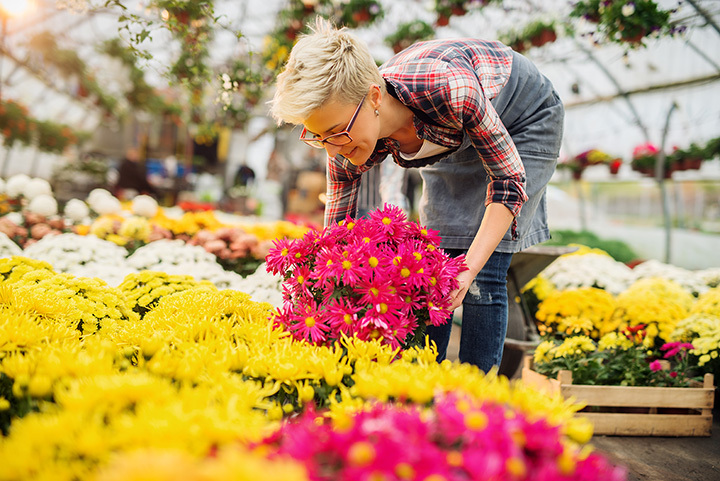 If you haven’t taken the plunge into gardening, hit up one of these great gardening centers for ideas on how to incorporate more plants and greenery into your landscape or patio. Frisby’s is the place for bedding plants, perennials, herbs and hanging baskets in Northeast Oklahoma. The main location is in Vinita, but they also have a center in Grove. The staff is always on hand to answer questions to help you be more successful in your gardening endeavors. Since 1980, TLC has been helping Oklahomans find the right plants for their gardens and landscapes. They focus on making sure the staff is trained and knowledgeable about horticulture. The business is still independently-owned and operated and has been nationally recognized as a leader in the industry. Marcums has a location in south Oklahoma City and in Goldsby with extended spring hours to give you plenty of shopping time to get your garden in. The website features monthly maintenance tips, which lets you plan what to do to take care of your lawn and garden. Very helpful for beginners and experts. Southwood has indoor and outdoor garden ideas to help those without a lot of space. One of their most popular “events” is the Planting Bar. Create a potted masterpiece with help from their staff while you sip a glass of wine. You’ll need to register early, because the slots fill up quick. Grogg’s Green Barn is fairly new to the gardening scene in Tulsa, but the owners have always had a passion for nature and gardening. As Tulsa’s only organically focused garden center, Grogg’s Green Barn is a teaching center and supplier of high quality plants for your garden. Bustani’s is a specialty nursery that focuses on plants that perform well in the Oklahoma summer. If you want to draw hummingbirds or butterflies to your garden, you’ll find wonderful varieties here. A family-owned and operated business that provides all types of plants and trees for Oklahoma gardens. They have a wonderful selection of herbs for your kitchen that will brighten up your salads all year long. Bedrock Nursery has a large selection of plants for your garden, and it also has a nice selection of water features for your outside living area. The business is family owned and offers a lot of knowledge to help your garden grow. Find all the bedding plants you want to brighten your yard and garden when you shop at the Garden Station. Make sure to watch their Facebook page for specials and information about planting and gardening. Blossom’s calls itself “Muskogee's premier plant and flower retail outlet.” You’ll find high quality plants, bushes and trees at this family-owned gardening center. Like them on Facebook to get information about sales and availability. Helms offers ideas to update your garden and include today’s technology to get more out of your outdoor living space. You can find expert consultation services to have a successful garden all year long.